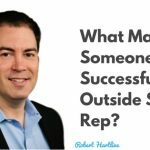 Cold calling is a challenge that pretty much every salesperson has faced at one point in their life. 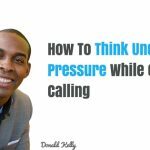 In today’s episode on Sales from the Street, Therrion White talks about the challenges he faced with cold calling and some strategies he put into place and not let this barrier get in his way to success. Therrion White is the CEO and owner of Play It Safe Technologies, a healthcare IT solutions company. Listen in as Therrion shares with us his thoughts and insights into his challenges and how he specifically overcame them so you won’t have to go through the same roadblocks that he did by learning from his experience. Learn the patterns and practices of actual people you’re trying to contact. Cold calling is like sports where you need to know the basics. Determine the best time to call the and the likelihood that you’d be able to reach the person on the phone. Plan in terms of having specific objectives in mind. State the reason you’re calling. Ask if they have a particular challenge. Ask for some input on what they started to do to overcome their specific challenge. Connect with Therrion through phone at 301-202-3464 or visit their website www.playitsafetechnologies.com or email them at info@playitsafetechnologies.com. Please support us in our Indiegogo campaign, a movement to inspire and motivate others to Do Big Things. No worries if you can’t make it to South Florida. You can then get a Virtual Ticket so you can have the opportunity to access all of the recordings of each session. Simply go to www.DoBigThings.net.